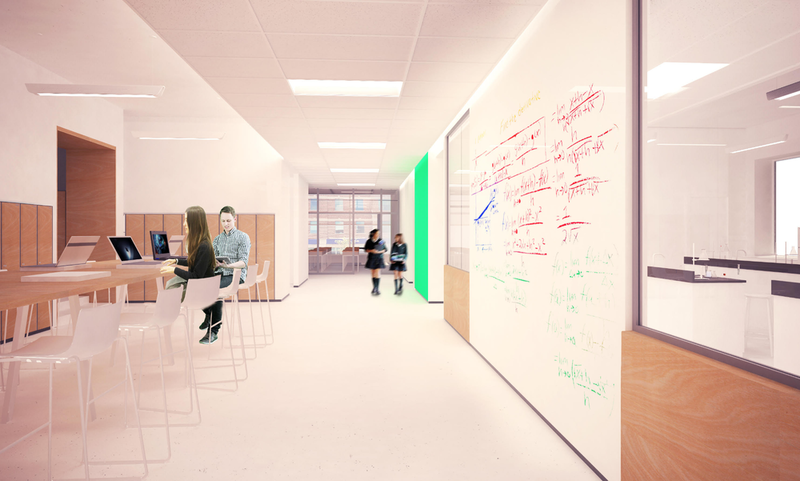 The Learning Commons as depicted by the architectural renderings. 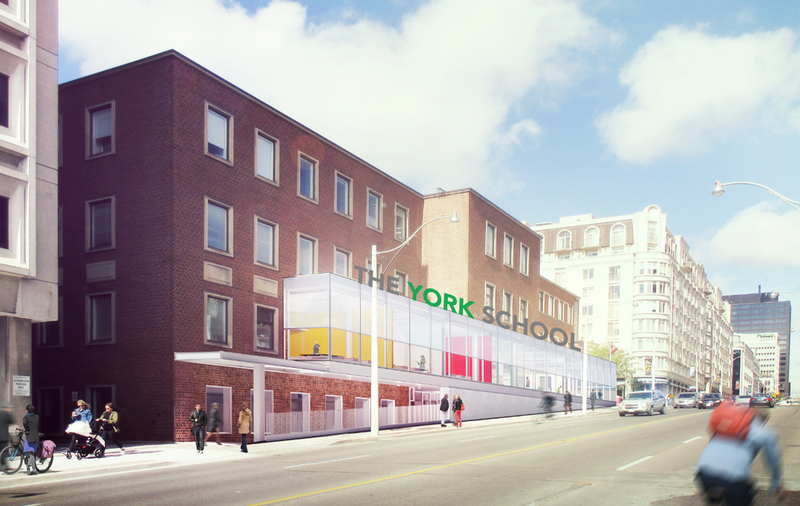 In Fall of 2017, visitors to The York School will enter the reception area from the south end of 1320 Yonge Street, immediately entering a large common area with a performance stage and Learning Commons. The floor has been prepared and the extensive electrical wiring and cabling is being completed to begin the ceiling and wall construction.